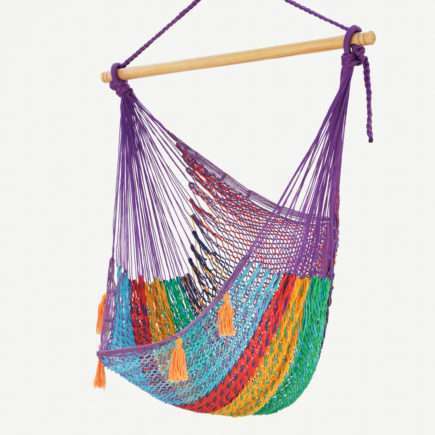 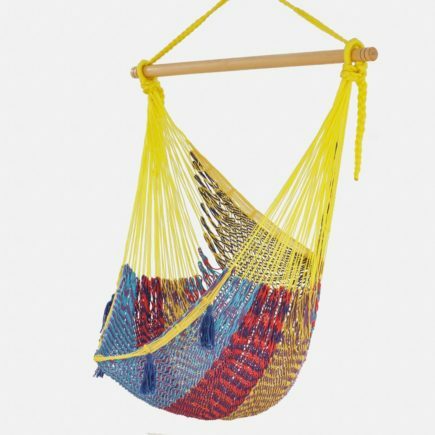 This Brazilian Hammock Chair is tightly woven with high quality colourfast cotton thread. 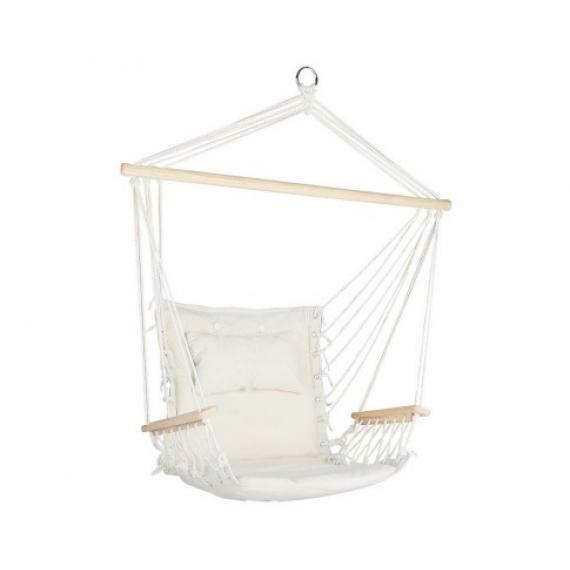 It includes a beautiful fringe detailing that adds a touch of elegance and sophistication that can be enhanced by the addition of a couple of matching pillows (not included). 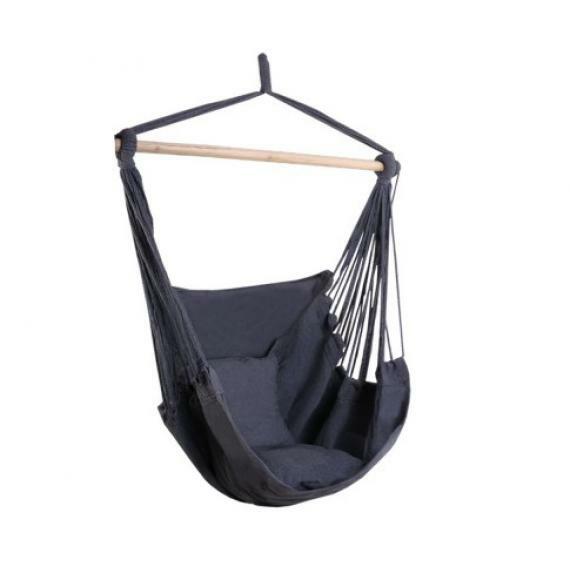 It is durable enough to support one adult or two children.